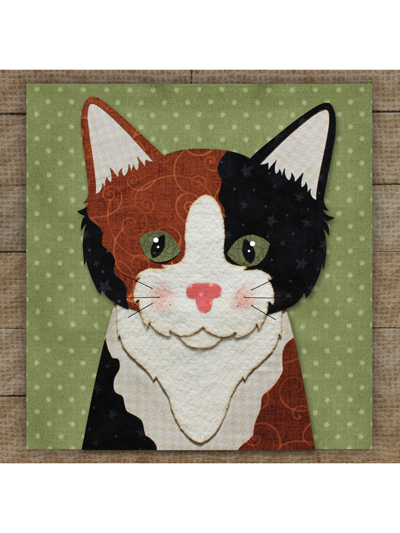 Add some extra character to any project with this easy-to-use applique kit. Mix and match applique blocks and pieced blocks to make a pillow, wall hanging, lap throw, bed quilt and more. Block size: 8" square. 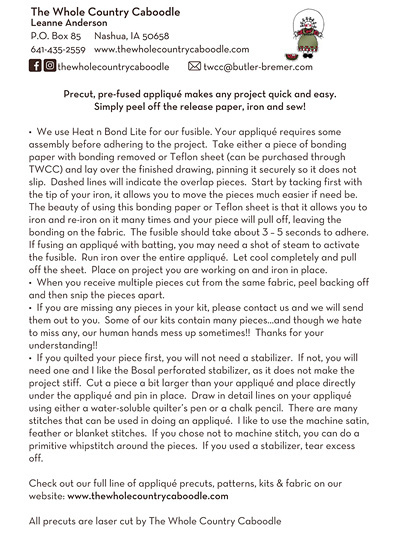 Kit includes precut fused applique and finished drawing for assembling applique. Background fabric is not included.